Today we got our robot approved by Mr.Martin. We also started work on our concept for the Figure 8 challenge. Also trying to finish our SolidWorks design. 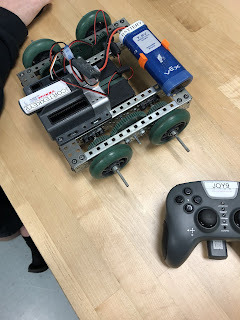 We finished programming the robot, had some issues with port 1, but it’s been fixed. Now it’s running just fine. Today we look to fix our motors on our robot and fix issues we are having regarding it. It's a bit confusing as we have no idea why the cortex started smoking. We also are continuing to work on our solid works design. Today we started use with blogger and figuring out how to set up the pages for our bios etc. 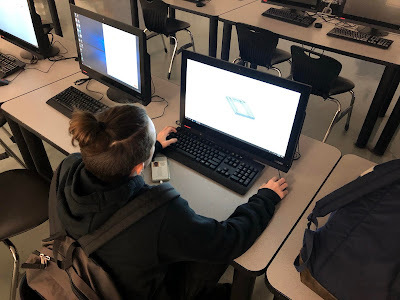 For our first blog we are going to outline our goals which are to finish re-inventory, start building our robot in SolidWorks and hopefully get approval from Mr.Martin.